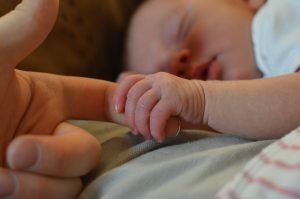 Five great Reasons to Hire a Doula! Hiring a doula can be a new idea to many Moms and not everyone understands or appreciates the value we bring. I have had people say to me “Well the hospital has nurses, don’t they take care of her?” or “But that’s the dad’s job!” and even “I wouldn’t pay someone to hold my hand!”. But trained doulas have a unique set of skills and gifts far beyond hand holding that make the benefits of hiring a doula proven, tangible and oh so positive! Here are our 5 top reasons you should consider hiring a doula to attend your birth! The births that generally are the smoothest are the ones where the woman has prepared her heart, mind, and body for the big day. As we share time with you at your prenatal visit we will be helping you with all 3 areas of preparation. We can help your mind prepare by discussing the birth process, different possible medical procedures and elements of newborn care. We support your heart by discussing your concerns, joys and fears. We’ll talk about the wonderful life changing transition that a new baby brings to life and help you process the event after the birth. And we will be constant source of encouragement and affirmation for you and your choices. And finally, we help you get your body ready for labor by sharing some preparatory exercises, food choices and helpful supplements. And we will help you and your partner practice massage, positioning, breathing and relaxation. If you’d like more in depth education we also offer private or small group childbirth classes. We want you to approach your birth with confidence! 4. Take the pressure off the Mom’s partner! Statistically, a doula that provides continuous labor support is an important part of creating excellent outcomes for mothers and their babies. And to add to that the fact Moms that used doulas had babies that were less likely to have low five-minute Apgar scores. In fact, there were no downsides found to having a doula present. Dr. John H. Kennel, an author and advocate for mothers and babies once said “If a doula was a drug it would be unethical not to use it.” He co-authored a handbook for doulas and fully understood their value in the childbearing process. He understood how the presence of a doula had the ability to reduce women’s labor pain. Doulas have skills that can help move a slow labor, comfort a mom in pain, help a Mom move a baby down lower, keep a mom feeling relaxed and encouraged. In shore, having a doula often means a shorter easier labor. A nurse is concerned that you might not be progressing fast enough, your doc comes in and says “We may be looking at unexplained FTP, he turns to the nurse. Let’s do an amniotomy and then if that doesn’t change things we will add in some pit. He hurries out of the room to check on the patient with twins next door and you left with your head reeling from the terminology you don’t know and all the scary sounding procedures mentioned. Doula to the rescue! We can interpret the medical language and helping you way the pros and cons of any procedure and explore alternatives. We can let you know that the doctor is concerned you might be progressing slower than he’d like to see and that perhaps breaking your bag of waters will speed things up. If that doesn’t work he wasn’t o consider giving you the contraction inducing drug, Pitocin. Sometimes well-meaning medical providers just don’t remember that we don’t all speak their language but your doula , who isn’t a medical provider, can help you interpret. Your doula can talk you through your options at every step of the way. She won’t ever make decisions for you but she will help you ask the questions so that you can make the informed choices for your birth.